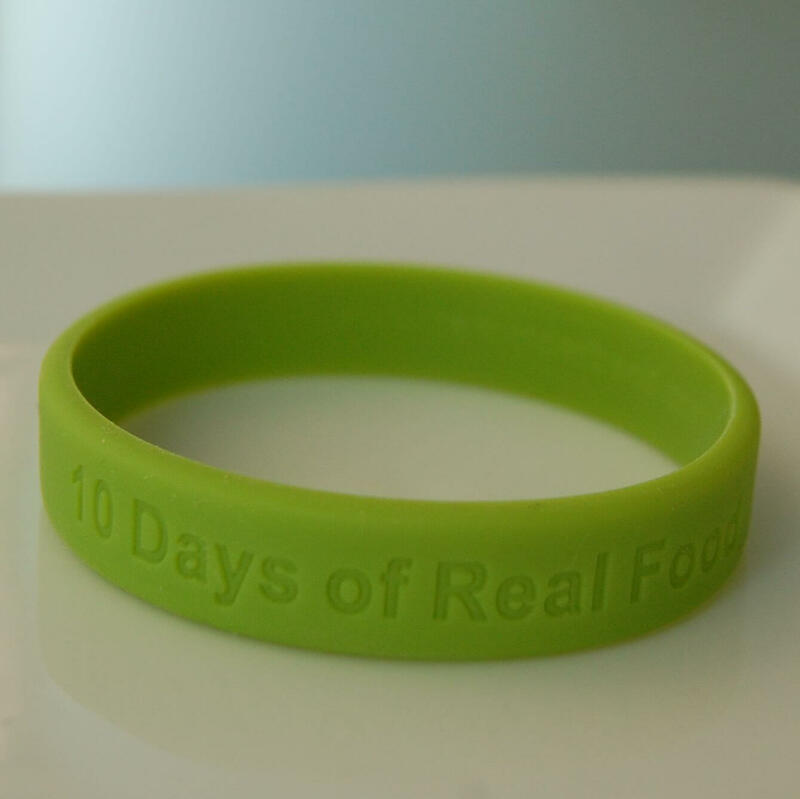 Cut processed food out of your life by signing up for our free 10 Days of Real Food pledge! For a week and a half you’ll follow the same real food rules we followed during our 100-day pledge in 2010. If our family of four did it for 100 days, I am convinced anyone can do it for only 10 days! And what harm is there in trying? Thousands of people all the way from Austin to Australia have signed up – to see how much the 10-day pledge has impacted their lives you can read some of their feedback here. So get ready for a true wake up call on just how pervasive processed foods are in everyday life! We promise your new-found perspective will be worth the effort. A first-hand, eye opening experience of how to identify the real food in our processed food world. At least one improved health benefit such as having more energy, losing weight, improving regularity, or just feeling healthier overall. The realization that some of those pre-packaged processed “food-like substances” don’t even taste that good compared to real food. The opportunity to teach your children (if you have them), by example, the healthiest way to eat and enjoy the food mother nature has given us. The ability to continue on with your life however you chose, but with the new knowledge of how and why to avoid processed foods. Hopefully your 10-day experience will convince you to consider making at least a few changes for life. Review the rules that you must follow for the full 10 days. In case you need some more convincing you may also want to review 10 reasons to cut out processed food. Take note of the important resources on our Start Here page. Complete the form below including your start date. We recommend that you take at least a few days or longer to plan and prepare your kitchen with whole foods so you have enough to eat once your mission starts. Also, consider boxing away the stuff that might tempt you to break the rules – we want you to succeed! We also recommend that you spend a few moments reviewing our concise list of real food meal ideas on the Recipes and Resources page to help you plan what you’ll eat during your pledge. Don’t forget to update your facebook or twitter status to let your friends know that you are starting the 10 Days of Real Food pledge so they can provide you with support and accountability! Once you have completed your 10-day pledge visit the Real Food Graduates page to tell us about your experience. We want to know how it went and keep track of how many people have come this far.